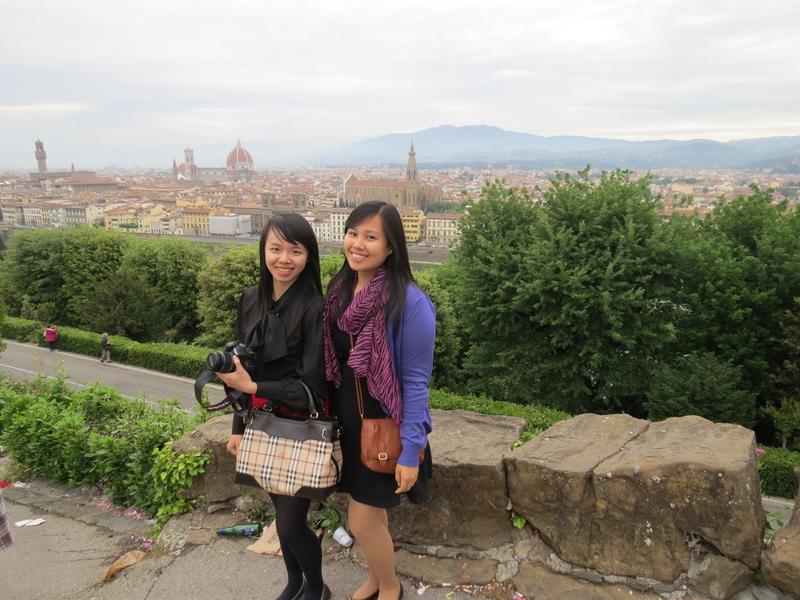 From Venice to Rome, we arrived into our final stop in Italy. 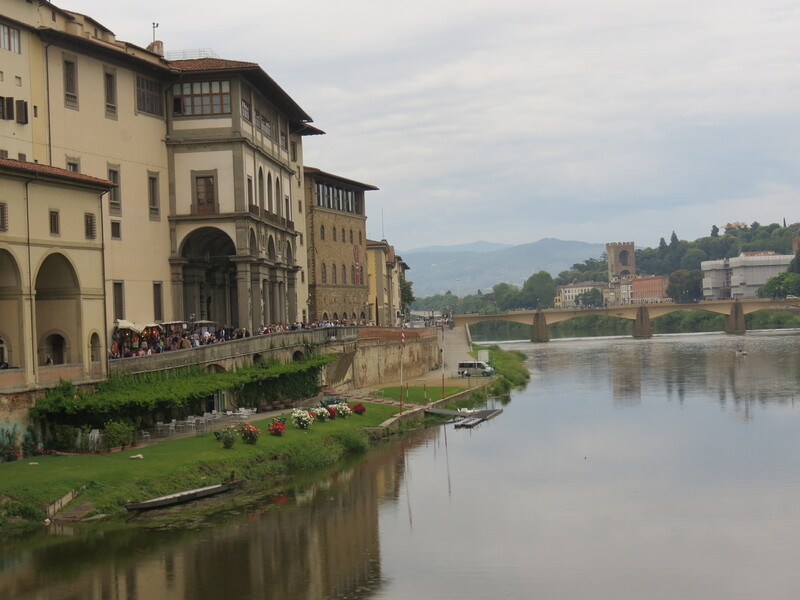 Florence, the capital of the Italian Region of Tuscany is famous for its history and being the birthplace of the Renaissance. 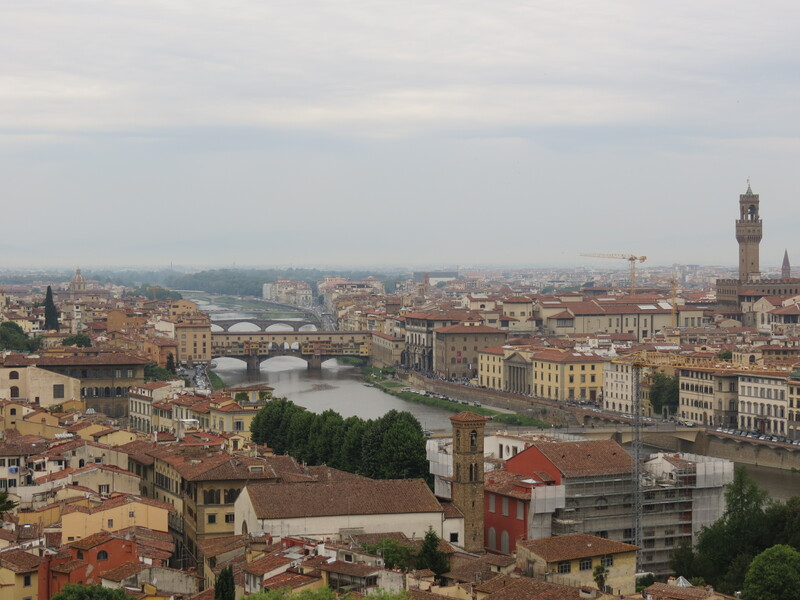 To be honest, as opposed to the two other cities in Italy that I visited, I enjoyed Florence the least, but it was only when I had gotten home, read up on it, and looked through my photos once again did I realize how magnificent this city is. 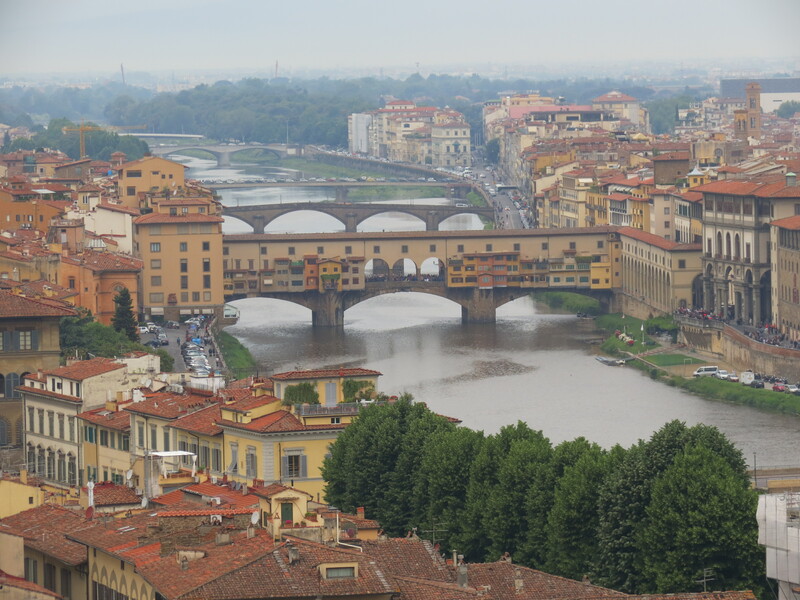 As the birthplace of the Renaissance, it is no wonder as to why people in the 14th century started cultural, together with literary, movements in this city. Transformations in art, science, religion, and even self-awareness had begun in Florence that later spread onto further countries. 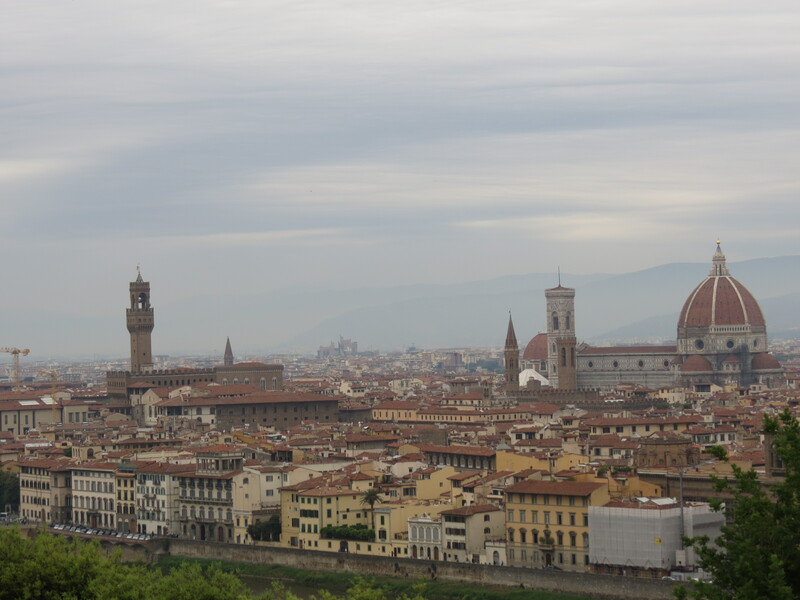 Recounting on how inspiring Firenze truly is makes me realize how great of an influence the city can be for change, change towards the better.One of the most beautiful sights I have ever seen, comparable to the view that can be seen from Prague Castle, is the view of Florence from Piazzale Michelangelo. 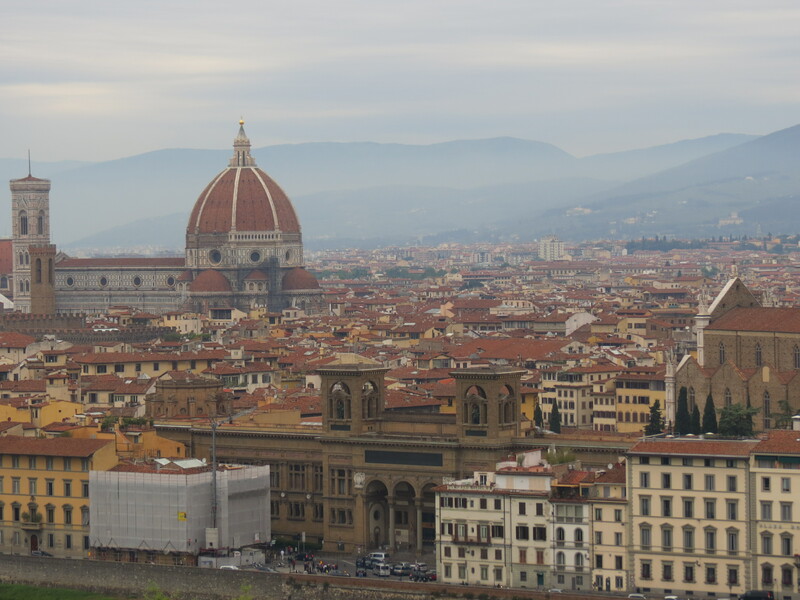 The consistently brick-colored roofs overlooked by mountains in a distance and the Duomo, otherwise known as the Basilica di Santa Maria del Fiore; all these make Florence truly one of the most beautiful cities in the world. 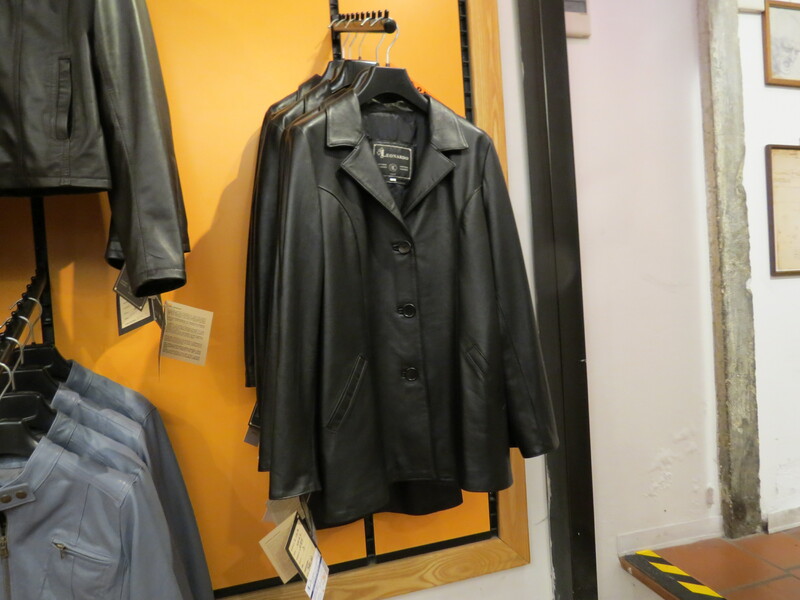 Afterwards, we headed towards the historic centre of Florence that started, of course, with a leather demonstration and we were given ample time thereafter to do some shopping. 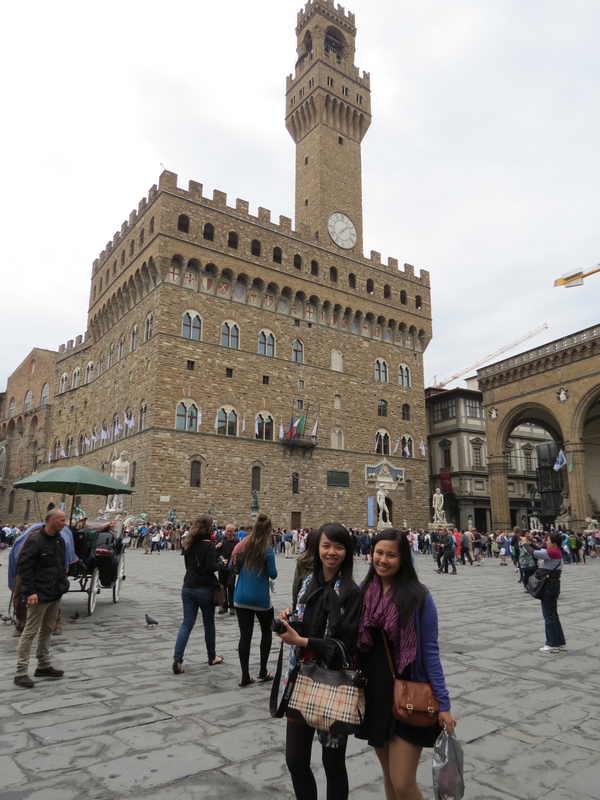 The Palazzo della Signoria, better known as the Palazzo Vecchio, is the town hall of Florence and was built within the 13th and 14th centuries. 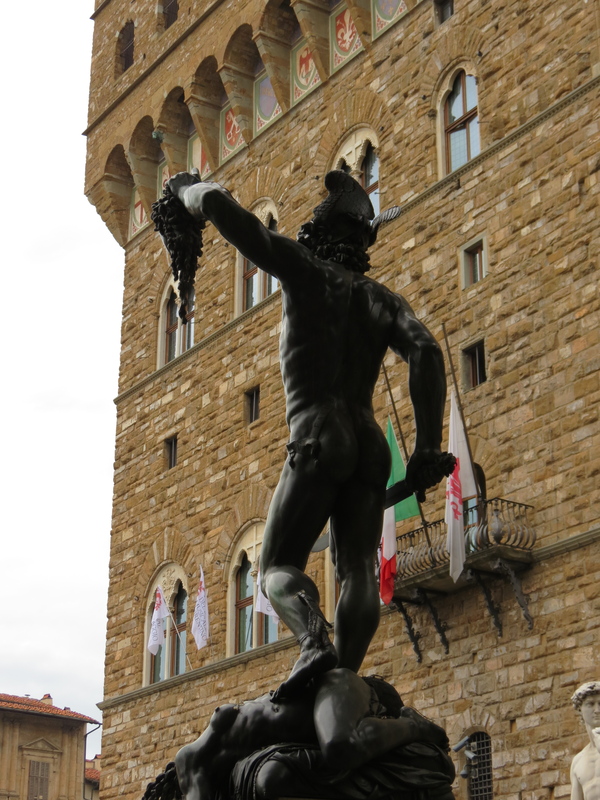 It was planned on the people’s aim to build a palace that would be worthy of the city’s importance, and how great of a role Florence played as the center of European trade and finance back in the day. 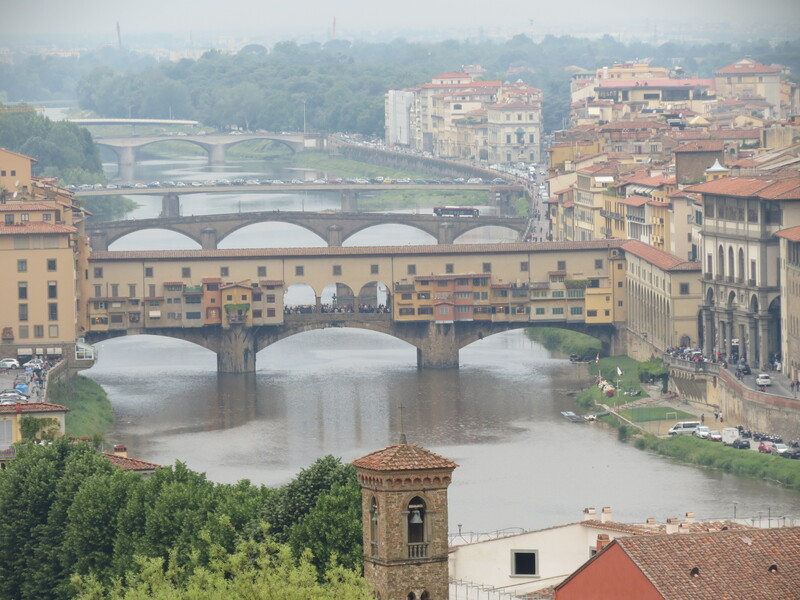 As seen from Piazzale Michelangelo, the Ponte Vecchio gave out such radiance and seeing it up close made me fall in love with it even more. Rumored to have also been adored by Hitler, he instructed that it was not to be destroyed because of its beauty and its historical significance. Our tour guide described it as, “Hitler thought the bridge was too beautiful to be destroyed.” And indeed, it was. 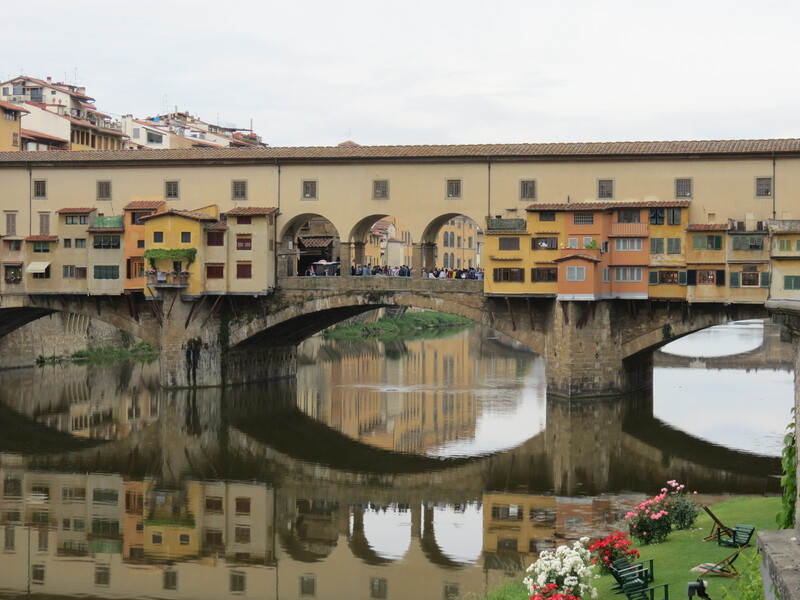 Not only is the Ponte Vecchio popularized by the multitude of shops built on it, but also because of its overlooking view of the Arno river. 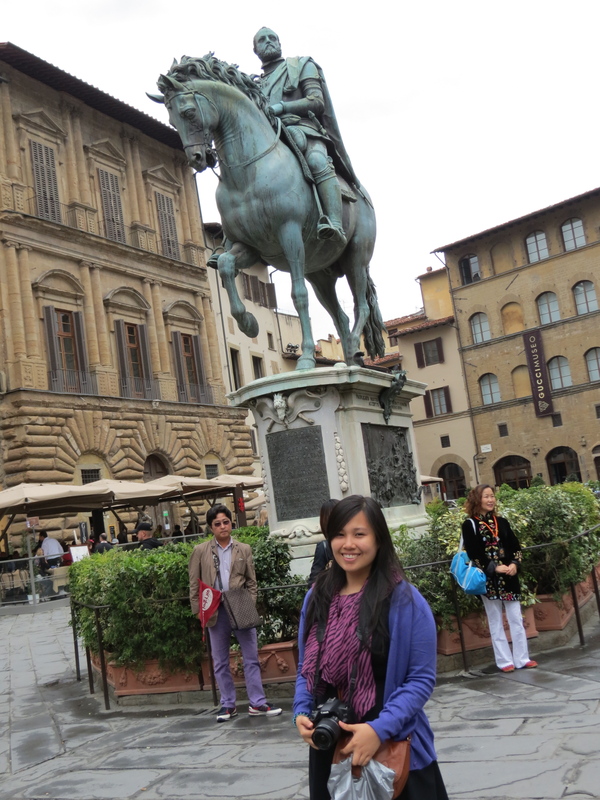 Walking towards the Duomo, we walked past Florence’s town square, also known as Piazza della Repubblica, and onwards to Basilica di Santa Maria del Fiore. Being the fourth largest church in Europe, the Basilica exhibited such character as the carefully planned cathedral walls attract travelers day in and day out. 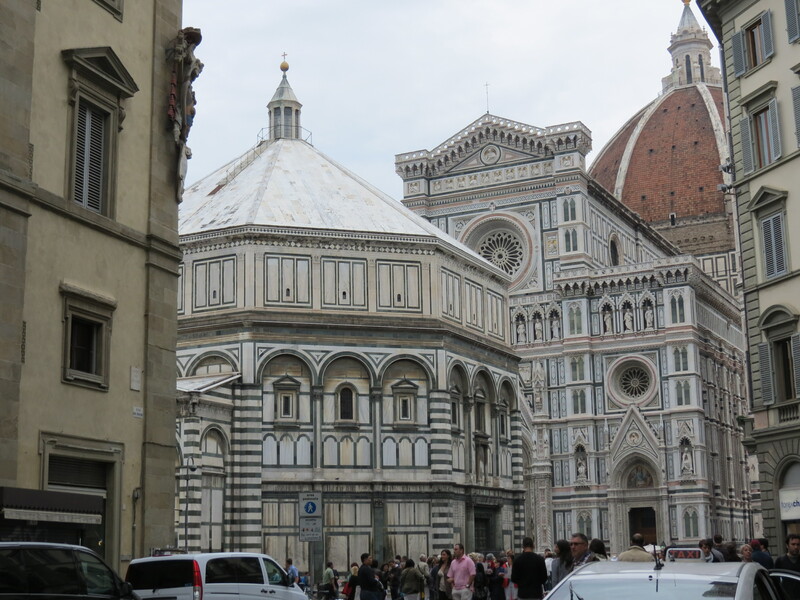 Unfortunately, we were all too tired to line up and take a peek into the beautiful Florence Cathedral, but seeing it from the outside was amazing in itself. 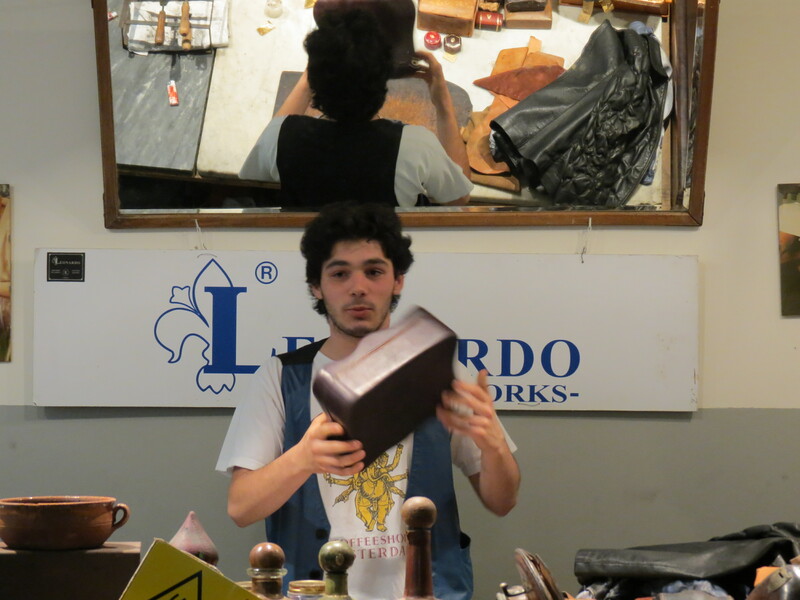 As mentioned earlier, Florence, during my visit, did not strike me as much as it does now. 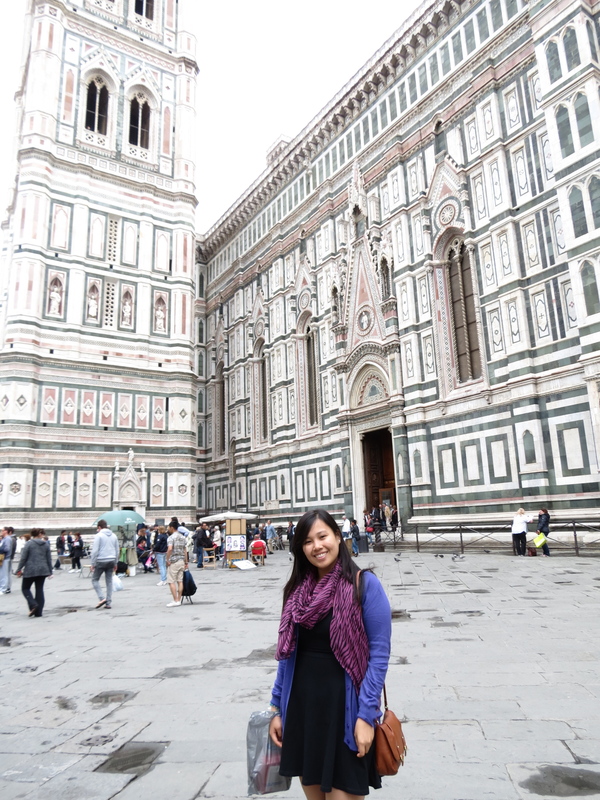 Though at first I never saw myself wanting to go back, now that I’ve learned so much more about it, I’m just itching to walk the streets once again with a guidebook at hand. 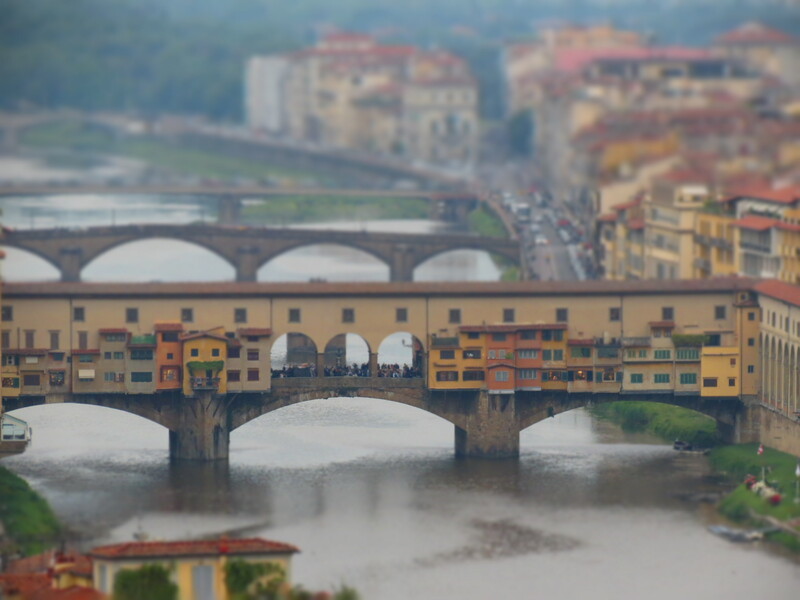 Even from memory, the city of Florence managed to change my outlook on a couple of things that have helped me mature as a traveler. 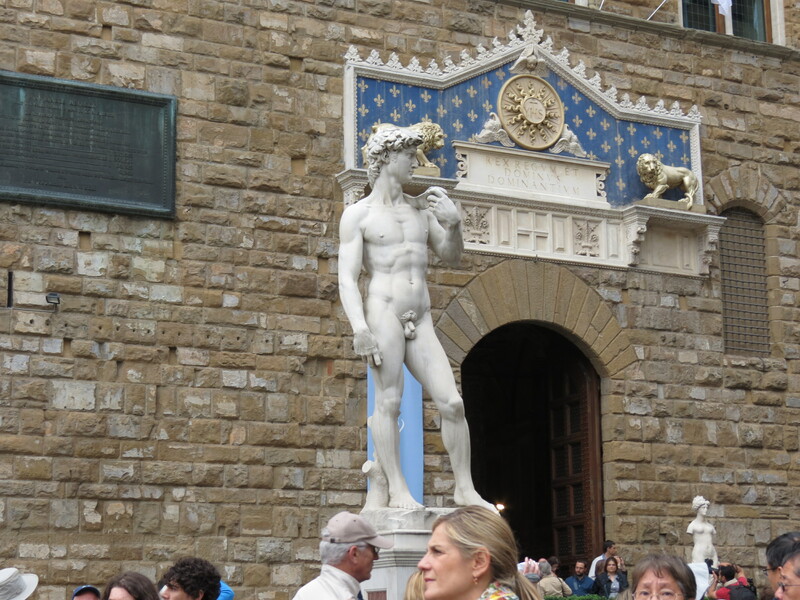 No wonder this was the birthplace of the movement for change – the birthplace of the Renaissance.